FOXBusiness.com’s Jade Scipioni tests out New York City’s first 4DX movie theater. The 3D movie experience is officially taking movie goers to new heights—the 4DX level that is—where movie goers can feel like they’re right there in the center of the action. “It’s really the next generation in movie watching,” Ken Thewes, Chief Marking Officer at Regal Entertainment Group (NYSE:RGC) tells FOXBusiness.com. 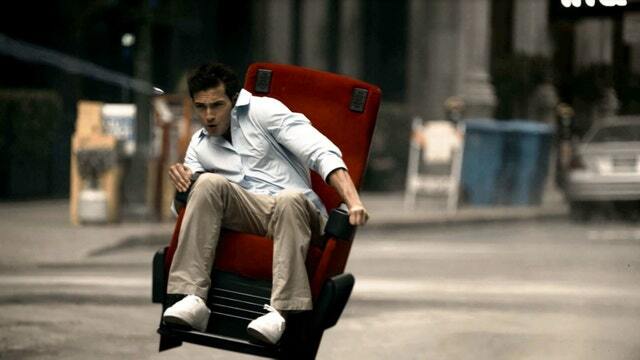 4DX viewers can experience moving seats, wind, fog, rain, lightning, and even get tickled throughout the movie. “There’s what we call a ‘tickler’ behind your calves. It’s programmed during certain movements to go really fast back and forth so you feel a little vibration on the back of your legs,” adds Thewes. Regal has partnered with a Korean-based cinema company called CJ 4DPLEX, which created the world’s first 4DX theater. Both companies just opened their first location in New York City, and third location in the United States. “We are extremely excited to bring this immersive cinematic experience to New Yorkers. Launching in New York City is a milestone in 4DX’s expansion within the United States,” says Byung-Hwan Choi, CEO of CJ 4DPlex. The company’s first U.S location was in Los Angeles in 2014, where it generated $1.7 million in revenue during its first year. “Total box office revenue for that location has been increased by 20% overall,” says Brandon Choi, Chief Operating Officer of CJ 4DPlex America. Their second location is in Gurnee, IL, a suburb outside Chicago. Choi says that while they waited to come to the U.S., the technology is already a huge success internationally. Japan is currently their fastest-growing market, with 12 screens opening in December alone and 24 in 2015, with a total of 33 locations. However, Regal says they plan to take their time in building out locations across the United States. Ticket prices range from $25 to $30 per person. Regal says consumers can expect about an eight dollar up charge for the “immersive cinematic experience.” And, they say the experience is bringing people back to the theaters. Box-office receipts for the U.S. and Canada totaled $11.1 billion last year, up 7% from 2014, according to Artisan Gateway. China’s box office was around 6.8 billion, up 48% from 2014, making them the world’s second-biggest movie-going market, behind North America.